Newly appointed Minister for Farming, Fisheries and Food, Robert Goodwill, met with members of the Scottish fishing and farming industries today as part of a two-day visit to Aberdeenshire. Minister Goodwill began his visit on Thursday evening, meeting key members of the Scottish Fishermen’s Federation to discuss the opportunities and challenges that lie ahead for the fishing industry. 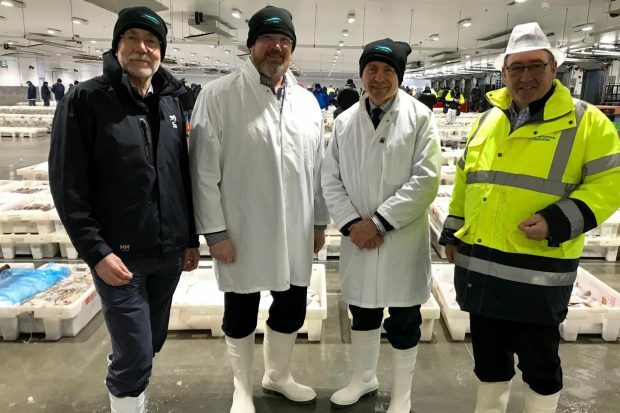 He then visited Peterhead – the UK’s largest port by landings – early this morning to see the town’s busy fish market in action. This was followed by a tour of a trawler and discussions with processors, skippers and fishermen, who outlined their priorities for the coming months. Later, he travelled inland to visit Muirton of Barra arable farm, where he held talks with National Farmers Union Scotland. The visit concluded with a trip to ice cream manufacturer Mackies of Scotland, where the Minister saw the company’s cutting edge factory and robotic dairy unit. Scotland plays a crucial role in the UK’s fishing and farming sectors - contributing millions to our economy and creating thousands of jobs. It has been informative to hear directly from industry about the opportunities that lie ahead, and I am looking forward to working closely with both sectors as we leave the EU. Another important step in Salisbury’s recovery from last year’s nerve agent attack was marked with the reopening of The Bishop’s Mill pub in the city centre today.The pub had been closed since the attack on 4 March 2018, after which it was decontaminated and handed back by Defra in August last year. It has since been through an extensive refurbishment. The pub was officially opened by Salisbury’s mayor Cllr Mike Osment in a ceremony where he was joined by Environment Minister Thérèse Coffey, the pub’s general manager Emma Dodge, and local MP John Glen. 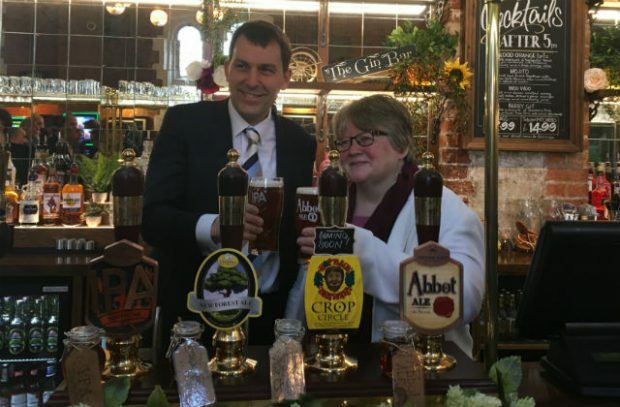 The Minister pulled a pint and met with members of the local community. I am absolutely delighted to be here to join the formal reopening of the Bishop’s Mill to customers today. Salisbury and the surrounding area have shown incredible resilience since March last year, and today’s event marks another really important milestone in its return to normality. The government remains committed to supporting Salisbury as it gets back to business, and I look forward to seeing both the pub and the city thrive as its economic recovery continues. The government has taken its role very seriously in the decontamination process, and I've been the minister signing off the sites, passing them back to the council and to the businesses, once we believe they are genuinely safe for people to be back in. This whole incident was unprecedented on our islands, the way people in Salisbury and Wiltshire have responded has been truly magnificent.